We invite you to play a role in increasing awareness of the prevalence of disordered eating in your community, and to be part of the search for solutions. We are here to support your efforts and to provide information and resources. Please keep the media and your community informed of your activities. We will enhance your publicity and raise your profile by listing your information on our website. To have events listed, please Submit Your Listing. To support your community activities, we offer a variety of promotional materials such as posters, buttons and magnets, which you can order here. Description: The essence of EFFT is to increase the positive role of caregivers in their child’s recovery, regardless of their age, level of motivation or involvement in formal treatment themselves. The clinician’s role is to support parents and caregivers to increase their involvement in specific ways – including recovery coaching, emotion coaching and relationship repair. The model also involves a module for clinicians to support caregivers to identify, understand, and transform “emotion blocks” that lead to therapy-interfering attitudes or behaviours. The training model is designed to introduce newcomers to the approach and give them a working experiential knowledge of the model. 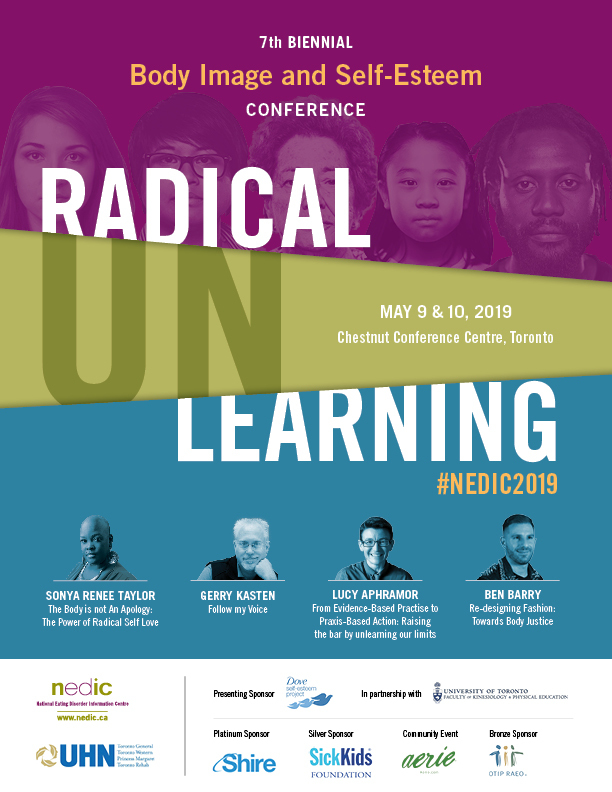 Those with previous experience will have the opportunity to grow their expertise, increase and deepen their experiential practice, and further expand their skillset. This training includes experiential components and participants will learn techniques that can be integrated into existing treatment models. Background/experience in family therapy is not necessary. 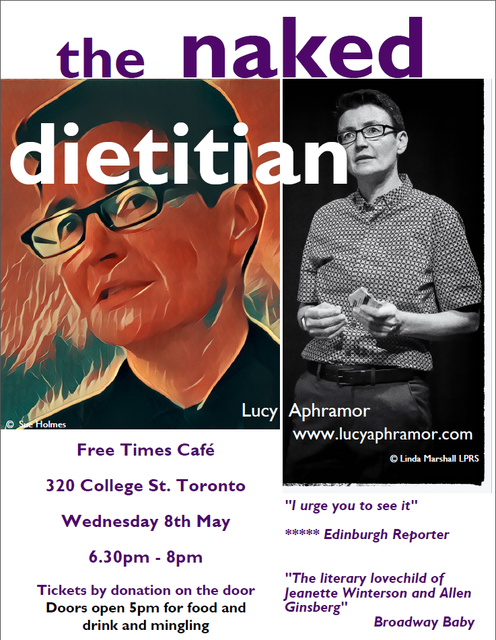 This is an excellent learning opportunity for medical professionals including dieticians, physiotherapists, occupational therapists, psychologists, social workers, nurses, educators and others who interact with individuals, parents and/or families. In Kernel of Wisdom’s 2 ED group options, clients benefit from: feedback on meals and mechanical eating; support to challenge feared foods and rules; peer sharing and connection; processing and guidance from professional facilitators; skill development in areas such as emotion regulation, urge surfing, or mindful eating; and similar insights and benefits as one gains in individual counselling. LEARN MORE ABOUT THESE GROUPS AT: KERNELOFWISDOM.COM/GROUPS OR TEXT OR CALL 647-880-7118. All participants must be screened and approved by Joelle prior to starting. Groups will be capped at 8 participants. Enrollment will occur ongoing, as spaces become available. 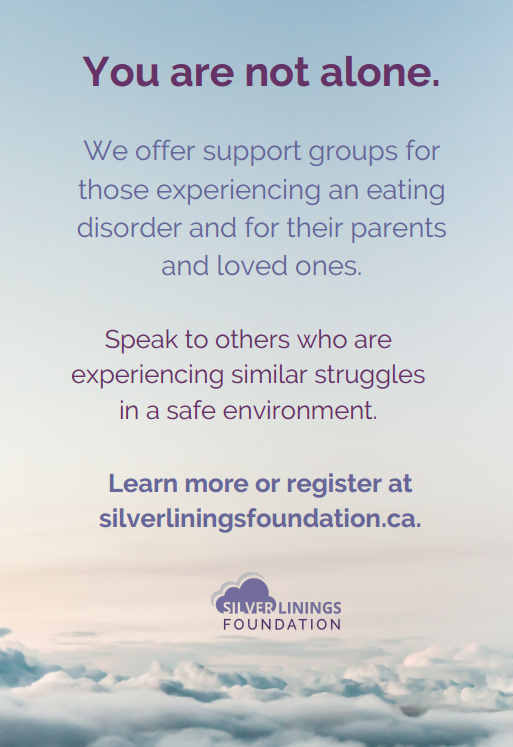 Sheena's Place is running a support group in Vaughan! DATE & TIME: 6 Thursdays, 6:30-8:00 p.m. - exact dates TBA - please inquire. Getting to the point where you're ready to make a change can be hard. Starting to actually make that change can be even harder. Where do you start? You may sense a certain dissatisfaction with your current circumstances, but not know exactly where to go from there. You may have a vague idea of what you need to change, but not know exactly how to take the first step. This group is about taking that sense of dissatisfaction, that desire to change, and turning it into a concrete goal that can be acted upon in small, meaningful steps. Using SMART Goal Setting, group members will work on identifying and creating a meaningful, yet achievable, goal that they will work on for six weeks. With support from the group facilitator and other group members, participants will take steps towards their goal, troubleshoot potential challenges, and learn skills for recovery and positive change that can be adapted to a variety of life situations. This will be a closed group, and group members will be asked to commit to attending all six sessions to the best of their ability. This group is open to any individual self-identifying as having a mental health issue or life challenge, with a desire to make a change in behaviour that will promote wellness and healing. A brief phone interview will be required before starting services to discuss treatment options and fee scale. Please call 905-886-6632 or email info@edoyr.com more information. 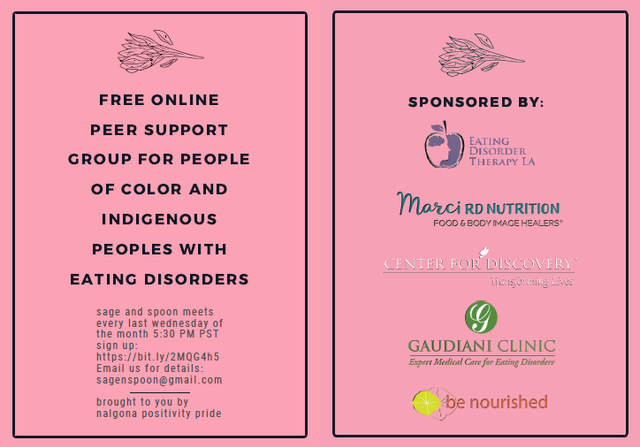 Nalgona Positivity Pride is proud to host SAGE AND SPOON, a free support group that meets once a month online.